Blue Science wants to create an inviting and alluring environment right in your backyard. Seeing your family's dream of enjoying a swimming pool, spa, and patio come true is what makes us love this job so much. 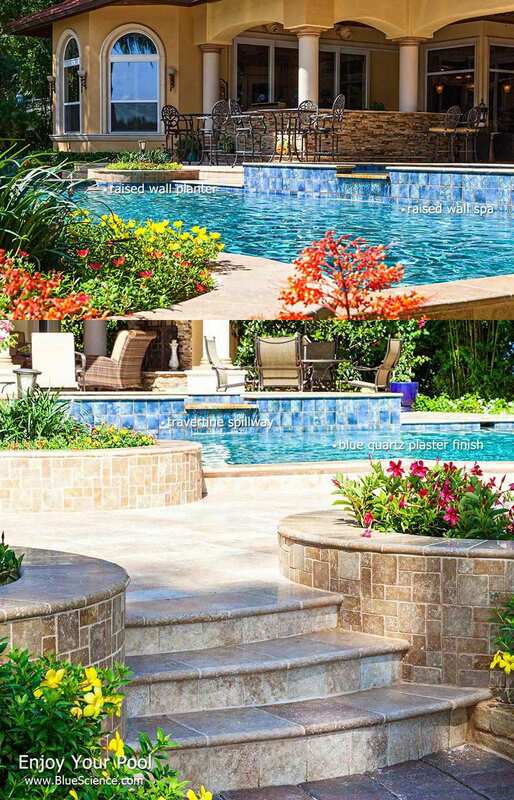 With more than 25 years in the Texas swimming pool industry, our Austin team of architects, designers, and consultants will manage your pool project with the utmost care. You deserve nothing less. Radiant blue quartz pool with raised walls and travertine deck & landscaping. 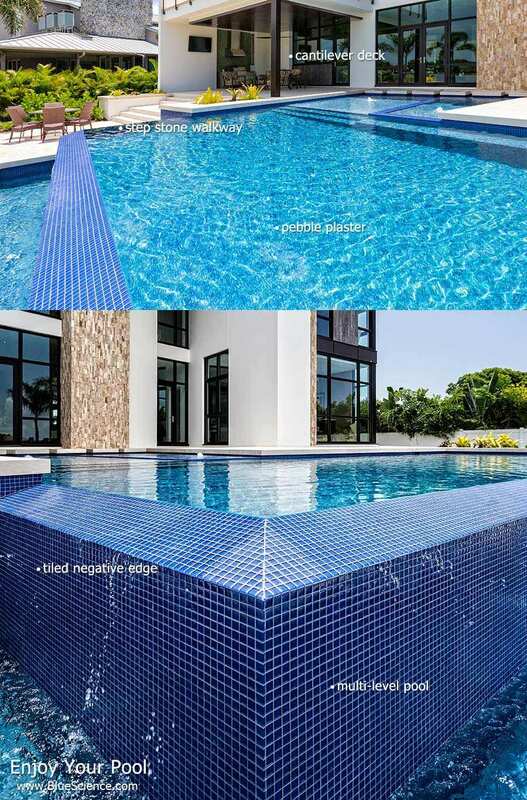 Luxurious geometric swimming pool with all glass tile surface and zero edge spa. 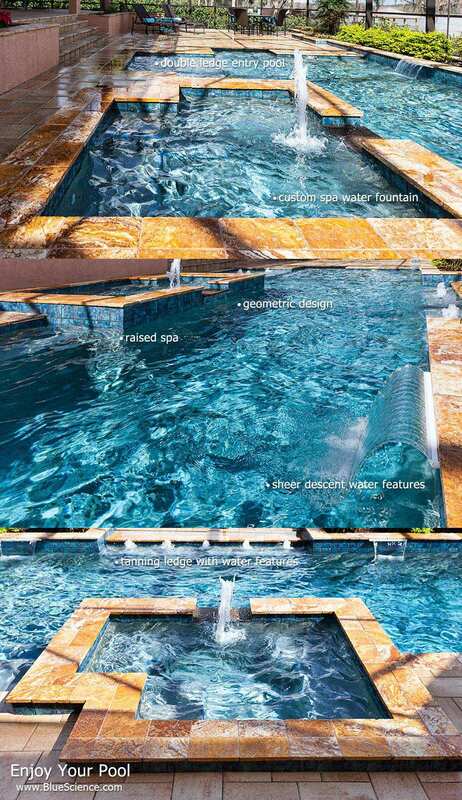 At Blue Science we seek to build a lasting, long-term relationship with you and to be your company of choice for everything your pool needs both before and after your pool build. During construction we will be a constant source of updates, delivering guidance and leadership to you while being mindful of your ideas, budget, and deadline. We believe the construction process should be an exciting, fun, and stress free experience. The weather in Austin provides so many gorgeous days to sit out by your pool, having a deck that you enjoy makes all the difference. For some people, the most enjoyable area of their backyard is not the pool itself, but the seating around it. The sheer assortment of deck and surface options available for Austin homes is vast. Some popular choices include travertine, decorative concrete, colored and stamped concrete, custom stonework, and pavers. 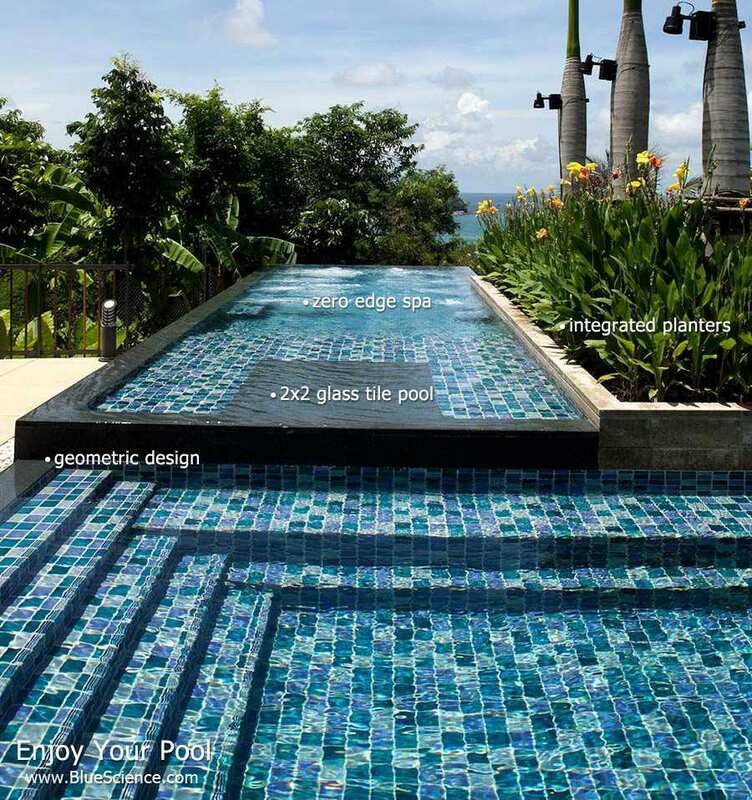 Choosing types, colors, and texture is an important part of the pool composition process. 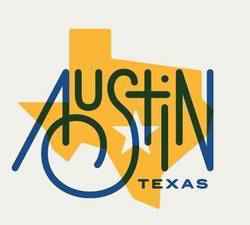 Austin residents sure do love to customize their swimming pools. 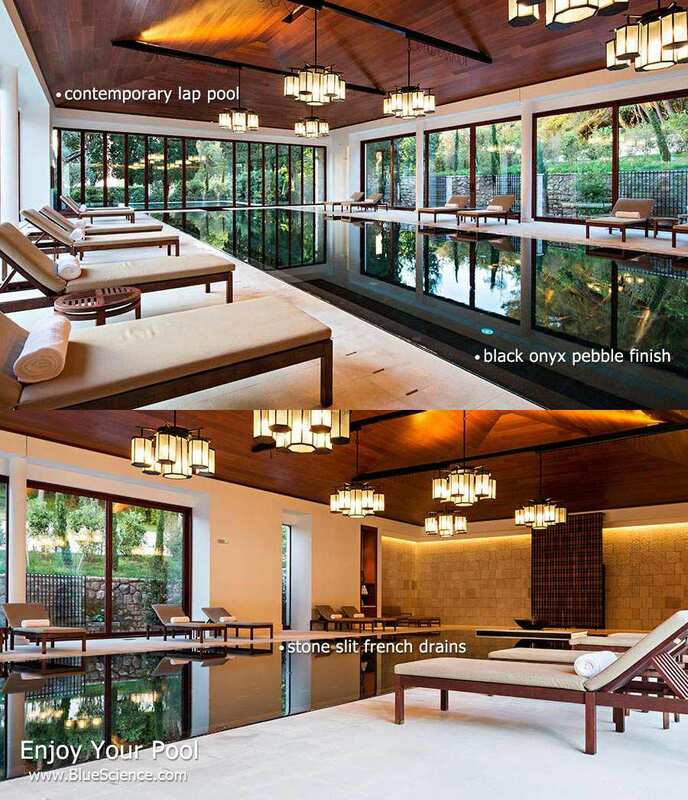 Adding pool features provides extra comfort, utility, and efficiency. Not every pool feature makes sense for every person. For example, if energy conservation is a high priority, adding lots of pool fountains many not be the best feature from the list. Talk to our consultants and think about what will make your pool function better for you and your family.